As Obamacare open enrollment begins, health-care providers in immigrant communities worry that the Trump administration’s hard line on immigration will spook some immigrants and their U.S.-born relatives away from seeking health insurance. In Baltimore, families with mixed immigration status “are telling us that they have a newfound hesitance to provide any information to the government” since Trump was elected, said Sarah Polk, a pediatrician at Johns Hopkins Bayview Medical Center. President Donald Trump has cut outreach to promote health-insurance enrollment under the Affordable Care Act, also known as Obamacare. He’s also made curbing immigration and deporting undocumented residents a centerpiece of his presidency. Polk says most of her patients are kids born in the U.S. to undocumented parents, including many who came to the U.S. fleeing violence in Mexico and Central America. One patient’s father was arrested after leaving his child’s school. Another man was detained outside the Walgreens pharmacy on Eastern Avenue, where many of her patients fill prescriptions. About a quarter of all the children in the U.S.—or about 18 million, most of them U.S.-born—have at least one immigrant parent, according to Census data analyzed by the Migration Policy Institute. And while those children may be eligible for coverage, fear of deportation could discourage their parents from seeking it. In the past, research has linked declines in enrollment in Medicaid, the state-federal health program for the poor, to stricter immigration enforcement. Adults who might be eligible for Medicaid or ACA coverage could also be discouraged from applying out of fear that it could draw attention to undocumented relatives. You notice several things. First, we see that many people are sheltering illegal aliens, in violation of federal law. 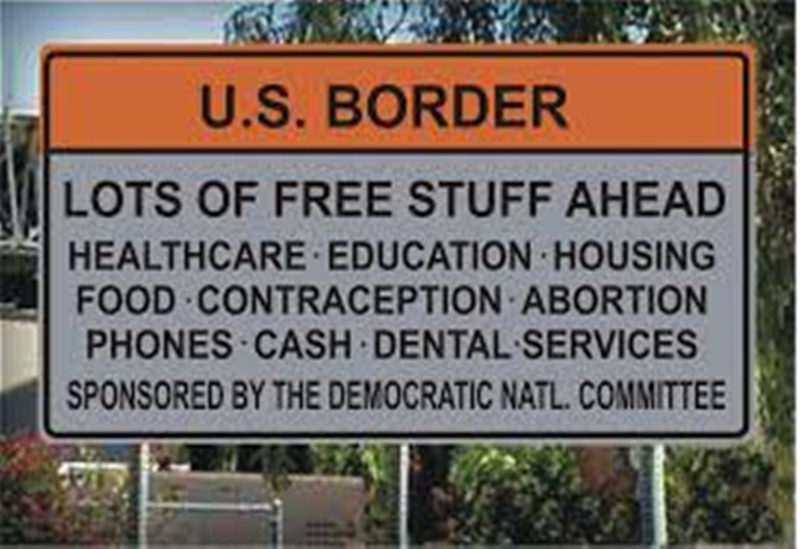 Second, through all the literary gymnastics, illegals are applying for Obamacare and Medicaid. We can also read between the lines and realize that many of these “kids” are Dreamers, meaning that, regardless of what Obama tried, they are unlawfully present in the United States, and therefore have no lawful status to apply for Ocare, and certainly not any cost sharing. Let’s not forget that Obamacare provided not provision for verifying the citizenship of anyone applying for Ocare. This means both legal and illegal aliens would be able to get Ocare plans, and, does anyone really think that they will pay the full price with Liberals essentially in charge of the bureaucracy? Committing criminal activity often leads to mental issues. This could be solved by them ending their criminality by leaving the United States.